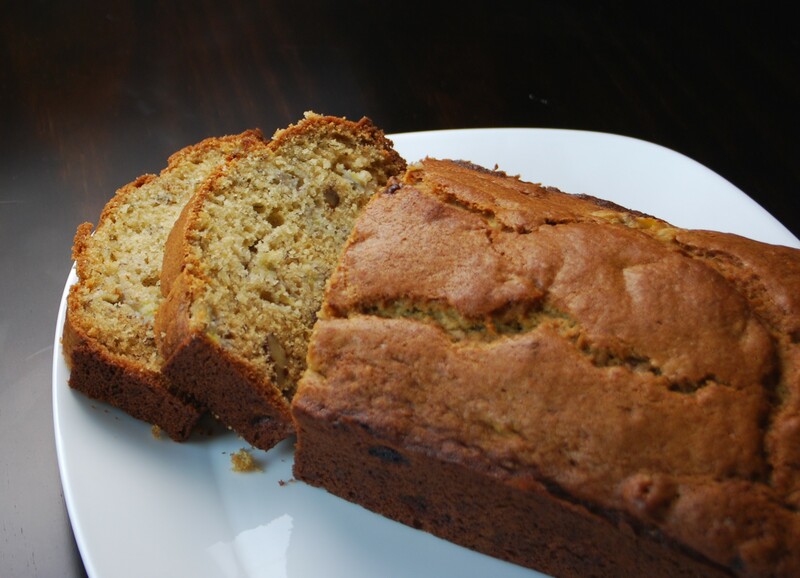 Banana bread is simply one of my favorite things to bake. I have tried several different recipes in the past; some that I have liked, and other were okay. But I keep on going back to this hand-written recipe that I can’t even remember the source. I have been making this version below for probably over 15 years. There is nothing fancy or special with recipes; it calls for standard pantry items and very ripe bananas. I usually wait until my bananas are very brown that they give off these incredible sweet smell, then I would look forward to making these on the weekends’ morning. Blend in everything, bake at 350 degree for an hour in a 10×4 pan. This entry was posted on Sunday, January 31st, 2010 at 11:19 am and is filed under banana, bread, breakfast. You can follow any responses to this entry through the RSS 2.0 feed. You can leave a response, or trackback from your own site. Mmm I love banana bread. It looks so good! This is am amazing and simple recipe. It took about 5 minutes to mix everything together. Very moist and hearty bread.